There are so many people to thank at the Terraces, it is difficult to know where to start. Our family and our sister were treated in a very professional, yet very caring manner, by every member of the Terraces staff. This includes the front receptionist, dining room staff, cleaning, maintenance, aides, activities, nurses and administrators. We apologize if we missed any other positions. Every request for information or any services was always met with a friendly smile and a “I can help” attitude. We were very impressed with the maintenance and decorations through the different seasons and cleanliness of the facility. 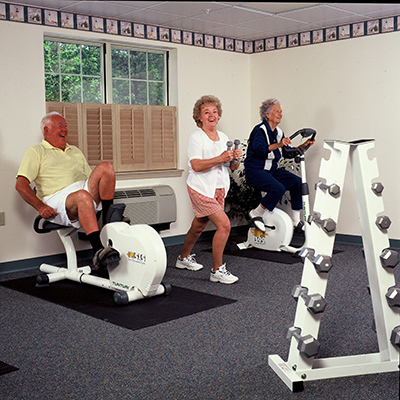 We have and will continue to tell others about the fine service and facility that you offer your residents. Our favorite description of the Terraces is that it is like a lovely hotel. 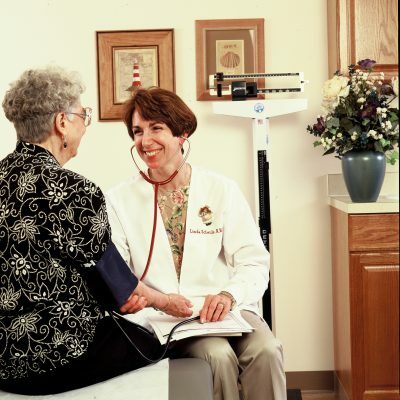 Over the years when various family members and friends have been in assisted living, rehab, and nursing home facilities, our experiences have not always been positive. Many facilities are poorly kept and the staff are mediocre. The Terraces at Parke Place should be a shining example for others in the business to emulate. 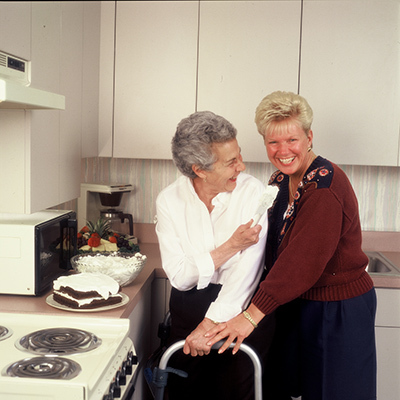 Most important of all, we have gained many new friends, they are both staff and residents. We have much respect and love for those who were with our sister every day. We will not list names, but they will be forever in our hearts in loving remembrance. “Thank You is not enough to say but it will have to do for now. The Terraces staff should be very proud of the excellent service they provide. May God bless you all. For everything you’ve done…for being the special people that you are…thank you for all you did for Mom throughout the years~! God Bless! We would like to thank you and all the staff for all that you did to make our mother’s stay at Terraces at Parke Place such a positive experience for her and us. We were able to have peace of mind that she was being taken care of and that help was available if she needed it. The facility was lovely and clean, the food was very good and nutritious, and she was well cared for by the nurses and other staff. We were pleasantly greeted by the receptionists and made to feel welcome. The activities were varied and she especially enjoyed the Christmas parties. We also appreciated how accommodating you were in her last days, allowing family to visit after hours and also to stay overnight, and for all the extra attention she received. 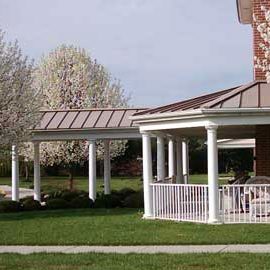 We highly recommend Terraces at Parke Place to anyone interested in an excellent assisted living facility. I am a resident of this facility. 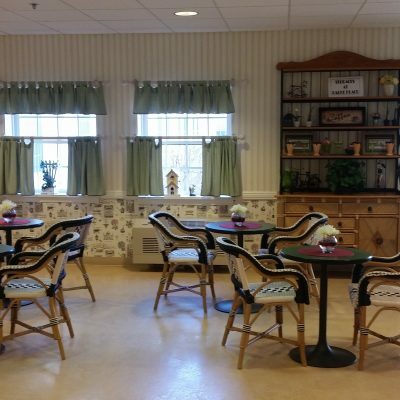 I’ve been here in Assisted Living at Terraces at Parke Place and I’m satisfied. I have a very large room and I have furniture from home. The food is sufficient and we have choices. Each floor has a big library, a lounge, they have a beauty salon and they do activities every day. They have transportation to the doctors. I checked some other places and this seems to be the best. They have cards, bingo and movies. The values is great. I am a relative of a past resident. This is a really nice place. I chose this for my mom coming out of rehab. She didn’t stay very long as she didn’t’ feel as though she was ready fro AL. Although her stay was short, I must say, everyone was nice, friendly, compassionate and helpful. The rooms were spacious and the facility was very clean. The resident director always made time to answer any questions I had. I can say without a doubt, when the time is right, I wouldn’t hesitate sending her back. I am a relative of a past resident. My dad used to stay at Terraces at Parke Place. It was a good place. The care was good. They did a good job there. They had bingo and they played cards. The food was good, too. I ate breakfast and lunch with my dad, and it was pretty good. It seemed like breakfast and lunch were their biggest meals. 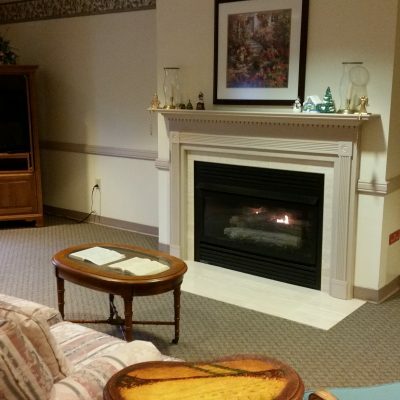 My loved one is very happy at Terraces at Parke Place, and I feel she is very well cared for as well. The staff here have been great, and they were really helpful when we made our decision to move here. 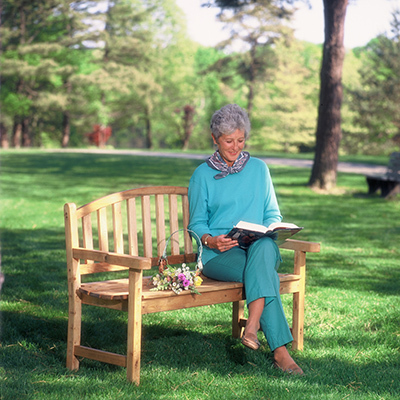 they answered all my questions immediately, and have made my loved one feel very comfortable. There is always some sot of activity going on in the community, and the food is great. My loved one says if they were to just add water she’d feel like she was on a cruise! She really likes it and I definitely feel that the Terraces at Parke Place was a great choice for our family.